Several years ago it was touted as a new state of the art Movie Theater to be located in an area of Deptford, NJ along Clements Bridge Rd. An area that while still close the Mall, had not been living up to its earlier economic promises. The large shopping center across the road had fallen a little after Pathmark closed, so adding a new large development in the wooded acres across from the Pathmark could be enough to boost both properties. 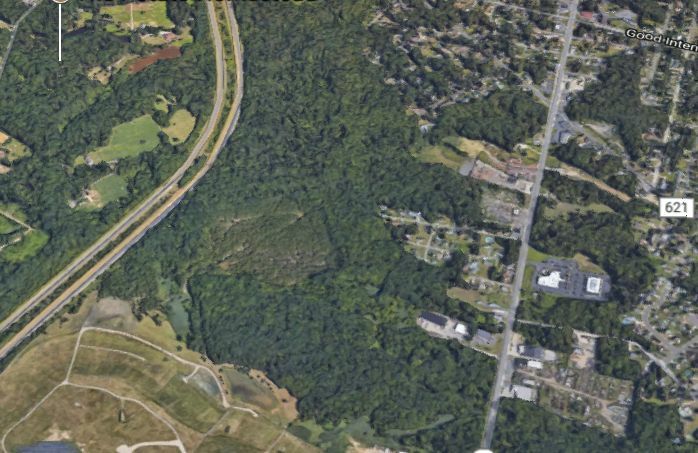 According to variations of Deptford Township planning documents, those woods were to become Movies, a hotel, a restaurant and more. And then as soon as things started moving and the property was mostly cleared… nothing. For almost two years. Nothing but rumors. Rumors of buyers, redesigns, lawsuits. There actually was one lawsuit filed that I am aware of, and that was from local Chiropractor Dr Brown, whose property would have been within the movie theater borders (documented in township planning minutes). But it seems none of those items were big enough to hold back the real reason for progress. We had just cut the trees down when the city asked us to work with a hospital to move the theatre to another location and sell the land to the hospital. It was a big opportunity for a huge number of jobs for the community. After over 2 years working with the hospital they decided not to buy the land. We are now regrouping to do the theatre. This is big news corroborating one variation of the rumors going around… that a hospital was interested in buying the property! And the movie theater was willing to change their plans as a benefit to the community. Knowing why there was a delay is only a part of the story, and actually it may be the smaller part. Who could the hospital be that was interested in the property? Interested enough that the theater developers were willing to move their location? In public posts and private messages, the representatives at Deptford Movies would not disclose exactly which hospital it was, so we are left to speculate. There are actually two large medical facilities swirling around the Deptford medical waters. Around the corner on Almonesson Road, a somewhat large Children’s medical facility is rising on a former piece of farmland. Dupont Nemours was a pleasant surprise “signing” for Deptford when it was announced. 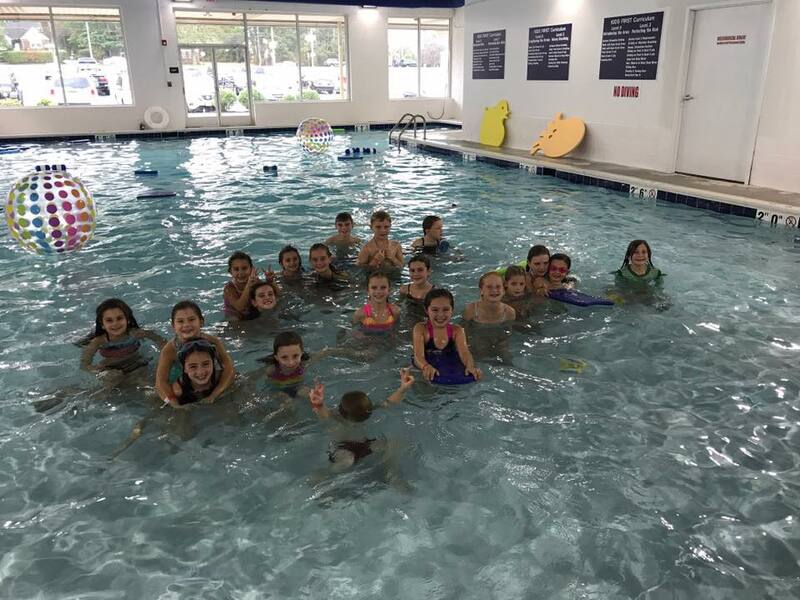 The Almonesson Road location gives it great access to all of South Jersey and Philadelphia, and its close proximity to the mall and restaurants offers families and patients plenty of things to do while at the facility. Could they have been interested first in the Clements Bridge location? From a timing perspective, it just doesn’t seem to fit. Media reports announced the Nemours project back in August of 2014, and one can safely assume that considerable negotiations and planning went into that project well before last August, which wouldn’t have fit with the movie theater development stoppage. Representatives from Inspira Medical Center Woodbury have told city officials that being located in Woodbury is “detrimental” to the hospital making money, according to Council President Dave Trovato. There were follow up reports, and even a story presenting reaction of the residents… as this alone was big news. Woodbury recently lost the town icon South Jersey News offices, and losing the hospital to another area town would be a big hit the town’s economy. I hear and read rumors all the time, and I always stay clear of publishing them, but with the combination of Deptford Movies announcing a “Hospital” was interested their property, and in the same timeframe Inspira Underwood threatening to move out of Woodbury, I think its safe to wonder. Was Inspira Underwood seriously considering a move to Deptford? Yesterday afternoon I reached out to Inspira’s communications representative, and have not heard back yet. I’ll add that, over at the “Deptford Talk” Facebook page, residents have been connecting Inspira and the movie theaters since December of 2014! Another poster in June of this year said it was a done deal! Of course the Deptford Movie theater announcement changes all of that. But does it? There are also rumors of other Deptford locations being looked at by an unnamed hospital. One location was also touted in the Deptford Talk forum. But it’s still not clear that Underwood is looking at Deptford, but I do know that where Hospitals build is a regulated effort. It’s very difficult for two hospitals to be built miles apart, so with Inspira Underwood already in Woodbury, it would seem difficult for ANOTHER hospital to move into Deptford. It does seem that having the Nemours Facility on Almonesson, and a new hospital around the corner on Clements Bridge Road would have seriously changed the Medical landscape of South Jersey. Despite being known as a retail “mecca” in South Jersey with its highly successful Deptford Mall, a dozen national alcohol serving restaurants, numerous box stores, and TWO Walmarts (and almost a third)… there is a surprising amount of undeveloped large pockets of land positioned close to the Deptford retail hub, and even in areas you would not expect. Just consider the Movie theater and Dupot Nemours projects. They are located 1/4 of a mile to the Mall, which has been thriving since the mid-70s. Not that I advocate knocking down all of the trees, but I do find it surprising that it’s taken 40 years to develop these properties. Over on Rt 41, the Brown’s ShopRite family owns 30 acres or more that was at one time promised to be a Shoprite, and also sits 1/4 mile or so from the mall. It used to be a tennis club but now nature has taken it back. Not to mention other shopping centers that are targets for redevelopment. The point being there are still large areas that have been untouched, and if a hospital wanted to move into Deptford, the movie theater property is not the only spot. Which brings me to Deptford’s Master Plan. Earlier in the year I sat in on a Planning Board meeting where a segment was dedicated to reviewing an update of the Planning Board’s Master plan. It just so happens that a key portion of the discussion that month was the board’s planning consultant indicating that the 5-points area in and around Delsea Drive would be a great location for medical use. Large medical use. A hospital. Close proximity to the Rt 55 exit would give quick access for the region and to Philadelphia. Now this was before the NJ.com article on Inspira threatening to leave Woodbury (but in the same early spring timeframe), because I remember sitting in the Planning meeting rolling my eyes and thinking to myself “how do we get a hospital in Deptford at 5-points, when Underwood is in Woodbury and Kennedy in Turnersville is a short drive up Egg Harbor Road? Who would approve that?”. They meeting indicated no interest, just that Deptford thought it would be a great location. I took it as wishful thinking, akin to a friend wishing they had a Corvette and a house at the beach. So I thought the idea of a large 5-points medical facility was nuts. Inspira publicly admits that Woodbury is “detrimental” to its success. Well, simply something is going on. It doesn’t mean any thing is signed, or anything has happened, or that any of these items are connected… but a LOT of discussions have had to be taken place. Not to mention Mayor Medany saying “we” are still targeting medical use options. When I contacted the Deptford’s Mayor about the Deptford Movies’ “hospital” admission he simply said “That is interesting. It is true we are actively pursuing more medical uses as we are lacking in that area”, but he offered no specifics and would not confirm the Deptford Movies statement. What’s next for the Deptford Movies? I’ve been in contact with the representatives from the Deptford Movies, and they offer some additional details. Publically and in private communications they are taking a “We wanted to help the community by working with the Hospital. Its a lot of good jobs and community benefits”. One reason for them clarifying this, is that some residents have been a little aggressive towards the Movie theater developers… upset that the land was cleared, upset that the project stalled quickly, upset that there were no official updates. The representatives for the movie developers have had to sit back quietly behind a Non-Disclosure-Agreement and take what was thrown at them. So going forward… right now they say they are working with the original plan for the movie theaters which was approved 2 years ago. They are reassessing that plan to see what it would take to restart it, and asked me to check back in a few months. Tomorrow I expect to have a part II post of what the fully approved Deptford Movie project was (or is). I don’t know if a hospital is better than a movie theater for that property. A hospital definitely brings in more jobs, higher paying jobs, educated jobs… and there is the hope those employees would chose Deptford for a home. Hospitals also drive additional medical development as independent doctors and specialist want to locate nearby. But most hospitals are registered as non-profits, meaning they pay no taxes. So all of that core hospital building pays zero taxes to the town, while consuming some of our services such as police and fire. A large movie theater and retail development would definitely pay taxes. A lot. Possibly 7 figures. 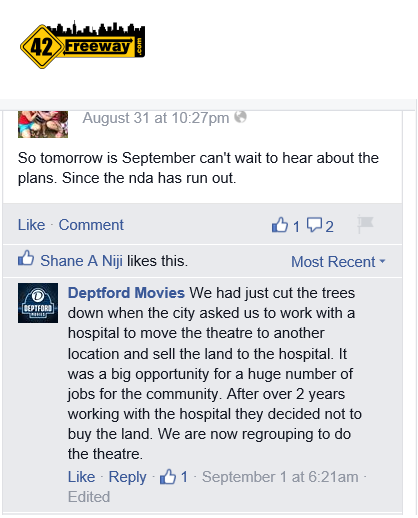 So if the Deptford Movie development plan moves forward, we have that as a bonus. And don’t forget, I am not convinced we’ve heard the last of Deptford medical announcements. More on the Deptford Movie project very soon. MEDIA OUTLETS: Granted this all started with a public post by the Deptford Movies, but the full reporting of this story started with this article at 42Freeway. If you chose to follow up on this story, please show this little news blog some love and reference our work here in your articles and news stories. Deptford 100+ Acres Sold. Previously approved for mix use. Ohio buyer owns a sports center. A 100+ acre property in Deptford New Jersey was sold to an Ohio investor. The property was previously approved for mixed-use development, and the new buyer has experience with a large indoor sporting venue. The amazing turnaround continues at the Court of Deptford on Almonesson Road, where Kids First Swim Schools will be opening a new location. This is the center featuring Hobby Lobby, Red Lobster, Olive Garden, Burlington and more! There’s always been something “not quite right” about this movie theatre project. In almost all development cases, you definitely see: Signs showing the contractors, lenders, developers, etc working on the project. 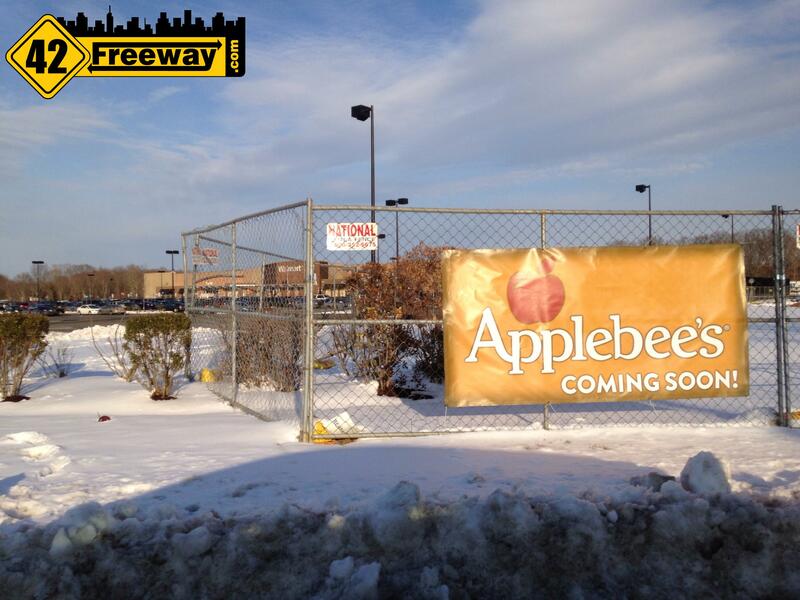 In some cases, you see a sign for specific stores coming soon. But it’s extremely rare to see a generic sign, such as ‘Deptford Movies’. There are very few if any multiplex theatre houses that aren’t part of a national chain. AMC just renovated their Deptford Theatre. While multiplex theatres are opening in places where there aren’t any nearby, I didn’t see this one happening. Why stop a project because a “hospital” (also generic in nature) may want the property? You mean a movie theatre developer, who one would think has already spent hundreds of thousands, if not millions, determining where and what to build, would suddenly abandon their project on speculation? And this is all while another medical building is being built nearby, with their name and purpose fully documented. And thru it all, this ‘Movie Theatre Company’ hid behind a ‘Non-Disclosure’ agreement. Something you rarely see after work has commenced, because usually you want to draw people to the area. You mentioned the theatre being a catalyst to improve the Pathmark Shopping Center…but how if they won’t mention anything about their own project? How about filling some of the empty buildings that are scattered around Deptford. They are doing a great job remodeling the shopping center where Olive Garden is located. It would be nice if they would open another food store where the Pathmark was, to help bring that shopping center back. Besides, we need another store other than Walmart. And what about all of the old original Deptford sites like…Freeway Diner, The Crazy Kat and the gas station across from Wawa on 41. There were suppose to be businesses moving onto these sites, but now, they all sit empty with “For Sale” signs on them. Clean up Deptford, before cutting down the trees and building more and more retail. Well, here was are, almost halfway through 2018 and still no theater a half decade on from their first announcements. Why? It relies on a business model that can’t compete. The company behind it filed for bankruptcy protection not long after the property was cleared. They haven’t been able to move forward with a single one of their ‘concierge theater’ projects since then. If the hospital had bought the land, that would have been a Hail Mary that saved the company’s expansion plan – not that it would have saved the company in the long run. Nobody wants to pay $25-$30 for a single movie ticket. How about filling some of the empty buildings that are scattered around Deptford. They are doing a great job remodeling the shopping center where Olive Garden is located. It would be nice if they would open another food store where the Pathmark was, to help bring that shopping center back. Besides, we need another store other than Walmart. And what about all of the old original Deptford sites like…Freeway Diner, The Crazy Kat and the gas station across from Wawa on 41. There were supposed to be businesses moving onto these sites, but now, they all sit empty with “For Sale” signs on them. Clean up Deptford, before cutting down the trees and building more and more retail.thanks for sharing such interesting post. I’m actually very positive on what has happened in Deptford. That Pathmark location you refer to was recently redeveloped into an Edge Fitness location utilizing a large portion of that building. In the last 4 years two of the dead centers were basically rebuilt and loaded up with great stores; Christmas Tree Shoppes, Buy Buy Baby, Bed Bath Beyond (larger/relocated), Burlingon, Hobby Lobby, Ashley Furniture, Launch Trampoline, Party City (Larger/relocated), Mission BBQ. Granted the Clements Bridge Road shopping centers still need more positive news… but considering where deptford was 5-6 years ago, its vastly improved.